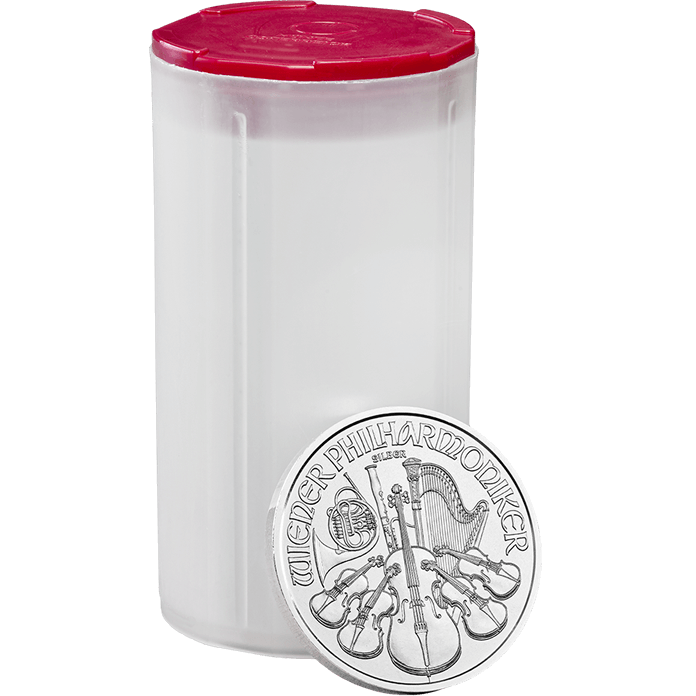 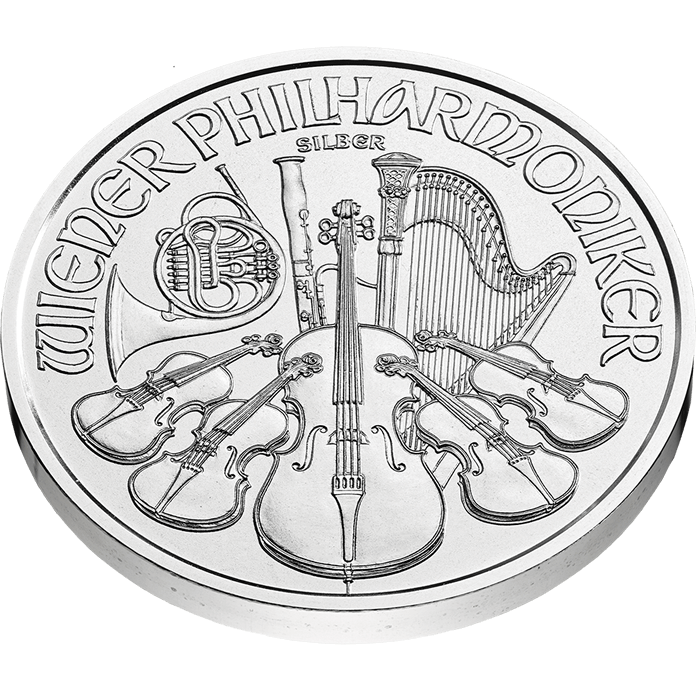 The Austrian Philharmonic coin was first introduced in 1989 by the Austrian Mint. 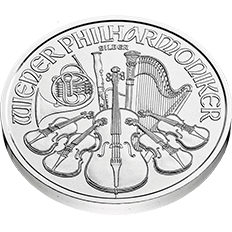 It is named after the Vienna Philharmonic orchestra (Wiener Philharmoniker), which inspires the design which is shown on both sides of the coins. 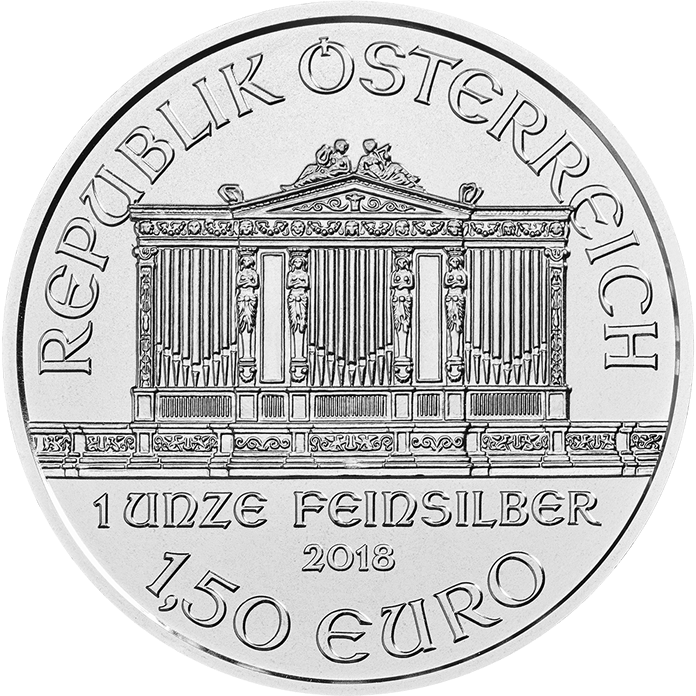 The obverse of the coin shows the pipe organ in the Vienna Musikverein's Golden Hall. 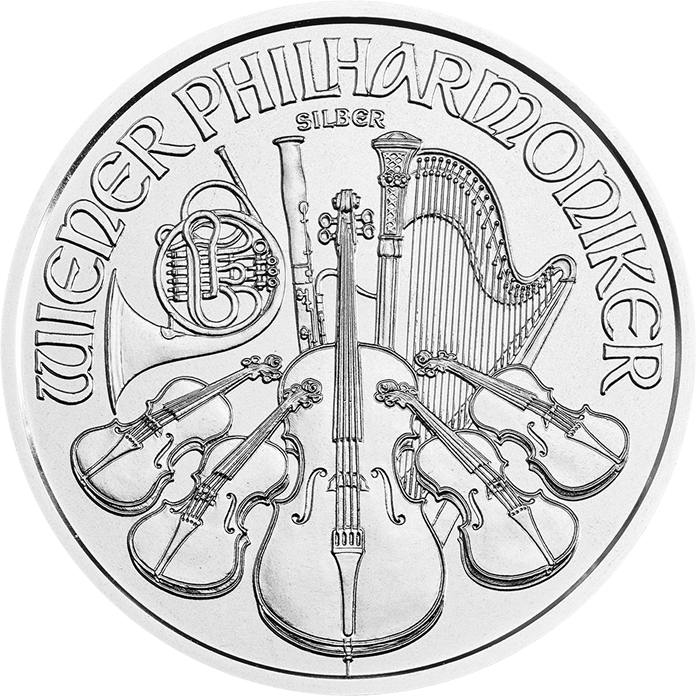 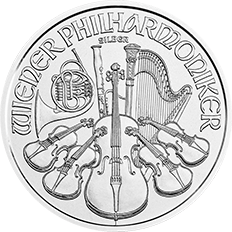 The reverse of each coin depicts various instruments of the Vienna Philharmonic orchestra, including the Vienna horn, bassoon, harp, and four violins centred on a cello. 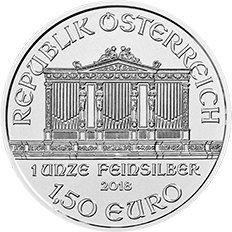 Both designs were produced by Thomas Pesendorfer, the chief engraver of the Austrian Mint.